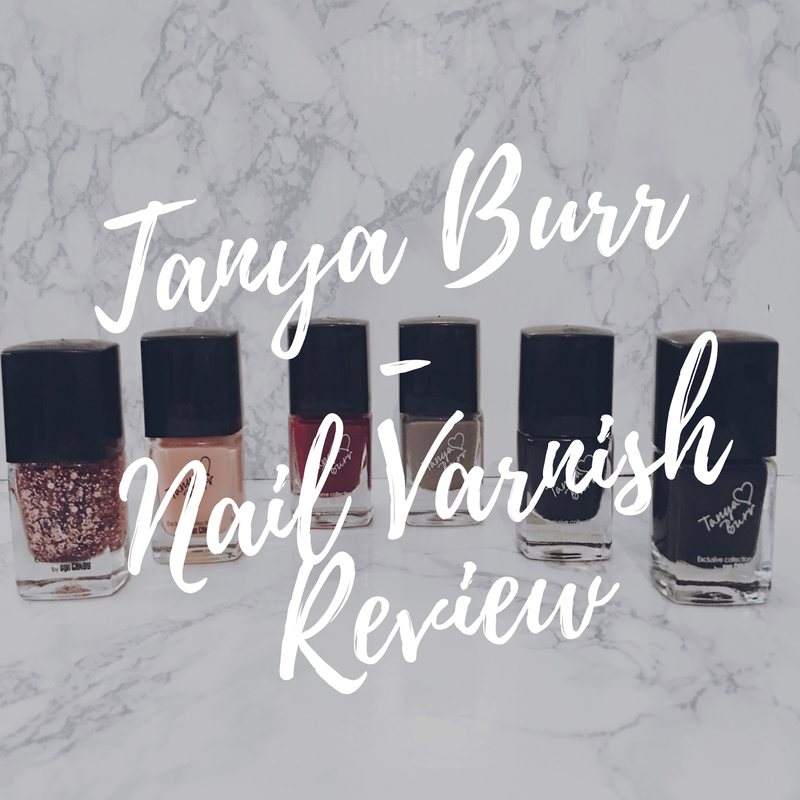 A few weeks back now I was having a look online at the Superdrugs website and noticed that they had sets of nail varnishes by Tanya Burr on sale at just £2.00 each, I think this was just down to them being in the old packaging as her new stuff had just been released. So obviously I decided to buy 3 sets, 2 sets being the same as I'm doing one as a giveaway as soon as I reach one of my blog goals, I won't say what blog goal it is just yet I'm gonna leave that as a surprise until I get it. Dark Magic is a regular black nail varnish that applys really nicely, you could easily get away with just 1 coat of this but I always prefer to do 2 coats of any nail varnish I use though. Midnight Sparkles is a gorgeous dark purple colour but when the light catches it, it has little sparkles of glitter in it. 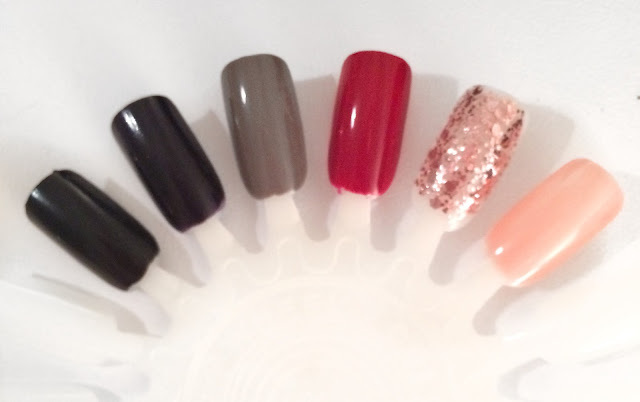 A perfect glittery nail varnish that isn't too in your face. Penguin Chic is a gorgeous grey/browny colour and is perfect for the Autumn season that we are in now. This is definitely one of my favourites and it was recently featured in a recent NOTW: Nail Of The Week blog post here on Nail-Beauty-Life. Riding Hood is a classic red colour that is suitable for any occasion, its not a really bright red but its also not a really dark red either, its sort of in between but still looks gorgeous anyway. Fairy Tale I'm not sure if this is the actual name for this one as its not written on the bottle like the others, so I had to do a bit of googling on it. This is a pink glittery nail varnish that has both big and little chunks of glitter in, I would say this is my least favourite though as it was an absolute nightmare to remove as most glitter nail varnishes are. Mini Marshmallows is a lovely baby pink colour and does actually remind me of eating marshmallows haha, definitely more of a summery colour though and this one needed quite a few coats applied on it to stop it from looking streaky and to get the full colour. So those are all the colours that I have from the Tanya Burr range at the moment, but I'm definitely gonna look into getting more as they are affordable and last ages before they start to chip on your nails.